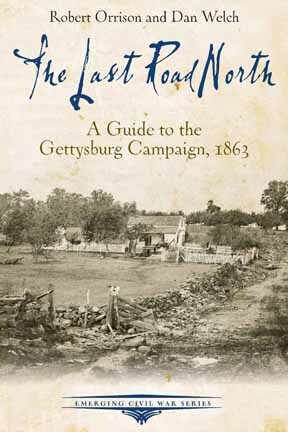 About the Book: A string of battlefield victories through 1862 had culminated in the spring of 1863 with Lee’s greatest victory yet: the battle of Chancellorsville. Propelled by the momentum of that supreme moment, confident in the abilities of his men, Lee decided to once more take the fight to the Yankees and launched this army on another invasion of the North. Historians Dan Welch and Robert Orrison follow in the footsteps of the Army of Northern Virginia and the Army of the Potomac as the two foes cat-and-mouse their way northward, ultimately clashing in the costliest battle in North American history. About the Authors: Dan Welch works as a seasonal Park Ranger with Gettysburg National Military Park and as a full time educator in Boardman, Ohio. Robert Orrison serves on the Board of Civil War Trails and works as Historic Site Operations Supervisor with Prince William County. Rob has worked with Civil War Trails for over 10 years to connect visitors to little known Civil War sites.